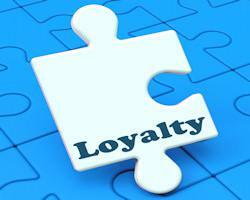 Building customer loyalty is important to your business. There are various figures quoted, but it is generally held that the cost of finding new customers is 6-7 times greater than retaining existing customers and repeat customers spend up to 67 per cent more than new customers. Increasing customer loyalty will help to bring you repeat business and increase customer referrals. We’ve found some ways to help build customer loyalty. Building a lasting relationship requires communication. Communication means listening to your customer or client, as well as conveying your own message. Communicate when things are going well and when there are problems. When things are going as expected, bring it to their attention. When there are problems, provide the scope of the challenge and your solutions, preferably before the customer even knows that the problems exists. This builds credibility, confidence and trust. One of the best ways to manage expectations is to be consistent. Be consistent with your quality, your responsiveness and delivery of goods or services.